When checking out posts via Idolminded, I found this survey posted by Magic-Kat on ‘Magic-Kat Presents “Morning Meteora.“‘ Lately I’ve been reflecting a lot on myself and, by extension on Happy Disco. So, as such, I thought this survey would be a great way to nail down some of my thoughts, as well as sharing my personal insights with my readers. So, I hope this isn’t too much of an exercise in navel-gazing, and I hope you actually enjoy it! I started blogging in 2010 because I had so many thoughts about idol music that I had to get it out somewhere. I overthink things and I’m an opinionated person. Happy Disco has become my outlet for idol music blogging and thoughts. Writing for Happy Disco, Idolminded and Pure Idol Heart is a singular pleasure, and one that I’m grateful for. Here’s a bit of an anecdote, one that has motivated me to continue blogging. Last week I wrote a review of Team Syachihoko’s newest single, “Ii Kurashi.” As a Team Syachihoko fan, I was happy to write the review for myself. However, after posting it I noticed a giant spike in my site metrics. Seeing that most of the reviews were referred from twitter, I did a small investigation. Not only were a few Syachihoko fans tweeting about it, but Yoshida Tetsuto, the songwriter of Ii Kurashi, tweeted about it. I introduced myself to him, and mentioned that I loved the song, and he thanked me for it. All the while I was completely floored that any of this happened. That said, I don’t need praise or comments (though I would gladly take both). Just writing Happy Disco makes me, well, happy. I’m incredibly proud of my blog, and pleased as punch whenever someone mentions it. What long-term goals do you hope to accomplish, if any at all? I’d also like to expand Happy Disco. I keep toying with the idea of a podcast, but I’m not sure how to make that happen. If anyone reading this does podcasts or would want to be a cohost, contact me on twitter or Facebook and we’ll talk. Where does your blog fail to meet your goals? I am disappointed I haven’t been as good at sticking to my blogging schedule. I have been trying to figure out getting back on track, but I wish I had been better at sticking to the schedule I’ve laid out. Stupid life and job getting in the way. If you do have goals, what will accomplishing them do for yourself? Mostly I want to be satisfied with myself as a writer, improve my craft, and possibly become a talented enough writer/blogger to have that either supplement my income or even become a career path. Writing for fun is much more important to me than writing for money; if I was writing for just money, frankly I wouldn’t be an idol blogger. What do you want to gain out of blogging? A creative outlet? Praise from others? Personal satisfaction? Money? Personal satisfaction and a creative outlet are the big two, but I wouldn’t say no to others. Running Happy Disco is mainly based off of getting personal satisfaction and an outlet for my thoughts and writing, but I do enjoy praise and I would enjoy some money if it came my way. Do you feel that your blog should meet a requirement for amount of entries? Do you feel any particular entry should be a certain length? My goals were to reach three entries a week (Monday, Wednesday and Friday) but that has been very difficult lately, given my personal life. I try at least to reach one blog post a week, even when I’m at my busiest and most procrastinate-y. Length… if you read Happy Disco on a regular basis you know I tend to be long-winded. Actually, I’d prefer to start shortening up my posts. I like being able to write and discuss things in depth, but sometimes it’s better to be concise. That said, I do like writing long posts, and generally my posts end up at 600+ words. For any particular entry, what motivates you to start and finish blog posts? I have three types of posts I post. Reviews (which I aim to put out near Monday), Idol Thoughts and either lists or TIFriday. For reviews, I generally write based off of whatever I find interesting. For example, when I covered AKB’s Suzukake Nanchara single, I had a lot to say about the PVs, and my opinions on idol PVs. I also tend to review stuff I like because I want to promote the things I enjoy. So that’s why you see me write piles and piles of Team Syachihoko reviews and posts; I want you all to become Syachi fans. Idol Thoughts are based off of either current events or something I’ve just been thinking about lately. I keep wondering if I’ll run out of ideas, but I generally have too much stuff to write about. Lists… I’m not sure how much I like writing lists, to be honest. 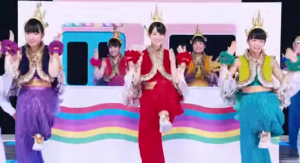 It’s fun to do some rankings; ranking my top idols, ranking Team Syachihoko songs. But it’s really a replacement for my Tokyo Idol Festival posts. 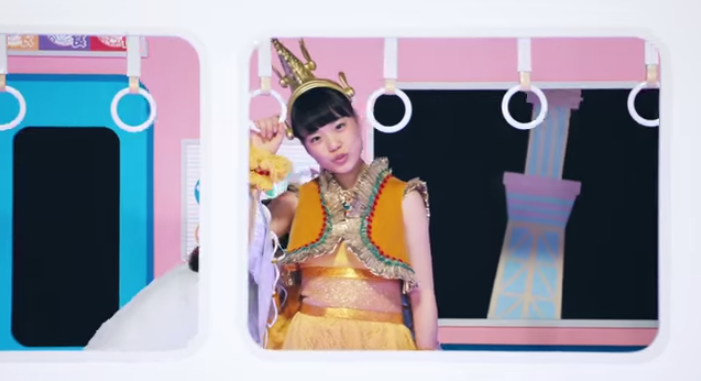 I love writing about TIF because I’ve discovered a lot of idol music through covering the festival yearly. I became a big Rhymeberry fan because of TIF. I’m really getting into i*Ris now because of TIF. My first experience with Team Syachihoko was with TIF. It’s a wonderful opportunity to explore the more indie side of the idol world. Do you actively consider long term goals for each individual post? Not really. I just want to write the best post I can, but I don’t overthink my posts much. I should probably edit them more. Idols. I cover Stardust, 48 Groups, Hello!Project, and all kinds of indies. I generally cover stuff I’m interested in, so my subject varies as much as I do. I do reviews, profiles and general interest pieces. I mostly focus on opinion pieces over just news. Would you be keep a blog even if it wasn’t about the subjects you tend to cover? Do you write about the material to promote it to others? At times, yeah; I try to be honest about what I’m reviewing, and generally critical. I’m happy when writing about stuff that I’m not super into. Ultimately, I want to write about something that I find interesting, rather than just good or bad. However, if I really like something, I’ll want to share it with people, and Happy Disco is a great place for that. How much do you care about readership? A bit? I want people reading my blog. But, to be honest, I don’t care that much. I’m happy whenever someone gives me feedback, and I’m gratified whenever I do have a solid readership, but it’s not something that will make or break Happy Disco. Does it satisfy you to know people are reading, even if they don’t comment? I prefer comments. I mean, everyone does, but I’d like to get more comments. That said, I’m terrible about leaving comments. I’m the absolute worst person about that. So I just hope that people enjoy Happy Disco, even if they aren’t commenting. What effect does receiving a comment have on you? Something like “Oh my god, they actually care enough to comment?” Something like that. Do you write with a particular audience in mind or an unspecified general audience? Why? So there’s no real audience I’m aiming for, I’m just aiming to be a great blogger. If you write for a particular audience, is it Idolminded? If yes, why? If Idolminded didn’t exist, would you blog? Probably; I’d still be on my Blogspot domain, though. I love being on the Intlwota domain, you have no idea. When IM covers an entry of yours, are you encouraged to blog more or less? More; I know that more people read my stuff when it’s posted on Idolminded. I don’t want to let down any of my readers. When IM does not cover an entry, are you encouraged to blog more or less? Daily. I check Idolminded daily, and I check my favorite blogs on a very regular basis (New School Kaidan, Selective Hearing, Okay! Musume Time, Tokyo Girls Update, the posts I don’t do for Pure Idol Heart, etc). Rarely. I am a terrible human. If another blog covers a topic that you wanted or wished to cover, do you still blog about that specific topic? Why or why not? Yep. I write mostly on a personal level, writing my opinion, not news. And there’s always room for more opinion pieces, I figure. How serious is your attitude towards blogging? Do you consider it just as something to do for fun? Kind of a mixture, I guess; I take Happy Disco seriously enough in that it’s something I’m passionate about and something that I care about, but it’s not life or death to me. I write it mostly for fun, but I’d like to get more into writing as a career potentially. But at the same time it’s not my job now, it’s fun, and I treat it as such. How often do you blog? How often would you like to blog? Right now it’s about once or twice a week, even though my goal is three times a week. I’d like to get three times a week. I’d LIKE to do something every day, between Happy Disco, Idolminded, Pure Idol Heart and Happy Media, but that’s not something I can do right now. What priorities do you or have you put aside in order to blog? Why? I blog in the afternoon, usually. I’m tired from work and just want to rest and play video games. I have to force myself to blog sometimes. But I love it. Do you see yourself blogging in 6 months? Why or why not? Yes. At this point I have to blog. I can’t not blog. Plus, the five year anniversary of Happy Disco will be here in about 8 months (!!!!!) so I have to make that! Would you say you blog for yourself? What is your feeling after posting an entry? Is it relative to the time and effort you put in an entry? I’m tired but happy. Proud of myself, really. It’s probably not relative to time and effort, to be honest. What needs does blogging fulfill? My creative needs; it’s an outlet for my thoughts and opinions. I have a lot of thoughts and opinions. Therefore blogging has become a really important safety valve; otherwise I’d just be ranting about stuff to people who didn’t really care. Now I’m ranting to the internet, and people probably still don’t care. I think so; I certainly write enough. Do you consider yourself good at writing? Good at blogging? Maybe? Here’s the thing; I’m self-critical. I’m not really happy with the things I post. Yet, I look back at old Happy Disco posts and feel really happy about how far I’ve come. People tell me I’m a skilled writer, so I guess I’ll choose to believe them. And I am not good at blogging, no. I don’t quite have the discipline to put Happy Disco on the strict schedule I want it to be on. How much of your personal life do you share on your blog? If none, why do you leave this out? If it’s pertinent I’ll bring it up. I don’t want to share personal details, but I’ll share how much something affected me. I share bits and pieces. Idols are my focus here, not me. The fact that there is an “Iris” and an “i☆Ris” is a little confusing. At least the groups seem pretty different. Iris is a six member idol group formed by Avex in 2012, going for the whole “everyone in different image colors” thing, possibly to go after the Momoiro Clover market. They’ve so far put out four singles and one mini-album, with their next single, Itazura Taiyou, coming out in June. The group is based on Anime songs (Anison), so a lot of their songs have been used as anime endings and their mini album was a cover of some anime songs. Generally, I’m not much of an Avex fan. I appreciate what Avex does; generally all the stuff that comes out of Avex has a really high production valueIs what I thought until I saw their videos and, more importantly, listened to their music. Wow. i☆Ris honestly has blown me away, musically. Musically, everything I’ve heard reminds me a bit of Queen; that kind of dramatic, orchestral music. There could also be some influence from ELO (my favorite classic rock group, mind you). The vocals are also incredibly strong, as well; all the members sound GREAT in recordings, making the songs even better. i☆Ris is why I do my TIF recaps. This is a group I’ve heard of for a while but I haven’t actually had a chance to listen to, and now I think I’ve become a fan. There are a lot of groups at TIF to uncover, but it’s worth it to find the great groups you’ve never even thought of before. If you haven’t, please go check i☆Ris out. Their music is completely worth it and the members all seem great. Oh hey, another six member group with assigned colors? This is going to be a trend, huh? Aoyama Saint Hachamecha High School was formed in 2012 by the MovingFactory label. Commonly known as Mecha High, the group has since released four singles, and are doing fairly well for themselves. Recently they hit #1 on the Oricon daily charts, #1 on the Oricon Indies Weekly chart, and hit #7 on the Oricon Weekly chart. Which is honestly pretty good for an indie idol group without an affiliation to a larger idol collective, so good job Mecha High! Their goal is high quality music and performance, and from that to get a major debut and to perform at the Budokan. Do they succeed in that? Well, not quite. The girls seem pleasant enough and nothing is bad about their music, but it’s not quite high quality. It sounds like standard idol fare. Not that there’s anything wrong with that; it’s standard for a reason. But Mecha High doesn’t quite do enough to differentiate themselves, especially since they want their music and performance to shine. They aren’t bad, and are pretty worth checking out. However, they don’t quite live up to their goals just yet. They’ve seen a fair amount of growth in the year and a half since their formation, however, so it’ll be interesting to see where Mecha High go from here! Here’s a pretty new group! The biggest area of interest is that it was actually formed by former BiS member Rinahamu. Their goal is to bridge the gap between Akihabara idols and Shibuya idols, thus being both for wota/idol fans as well as being fashionable. Which is actually a fairly solid idea. They were formed in 2013 (after announcing the group in 2012) and they’re still fairly new to the game. No releases yet, and so indie that I’m even unsure of how many members are in the group! (Wikipedia says 9, their website says 12). However, if you’re a fan of either Rinahamu from BiS or you’d like your idols a bit more fashion-focused, this might be a group to follow. 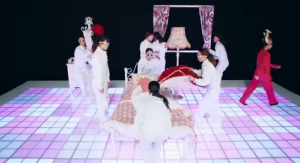 That said, the only video that the group has uploaded that has any kind of performance is a dance lesson video. Otherwise, while the group has performed, there isn’t much in the way of video, which makes it harder for foreign fans. That said, if the concept or the leadership of the group intrigue you, this might be something to look into. Now here’s a group you may be more familiar with. 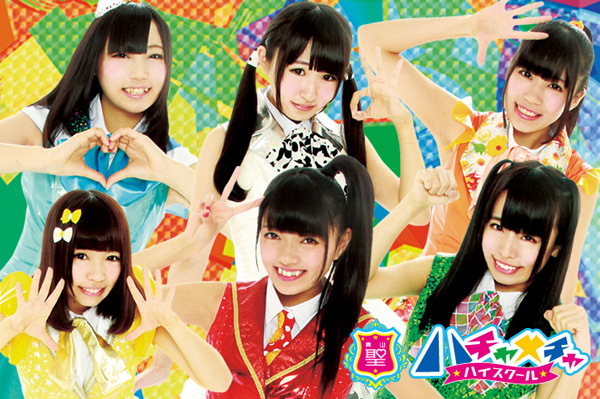 Up Up Girls are a group of idols that are former Hello!Project Eggs who graduated Hello!Project. 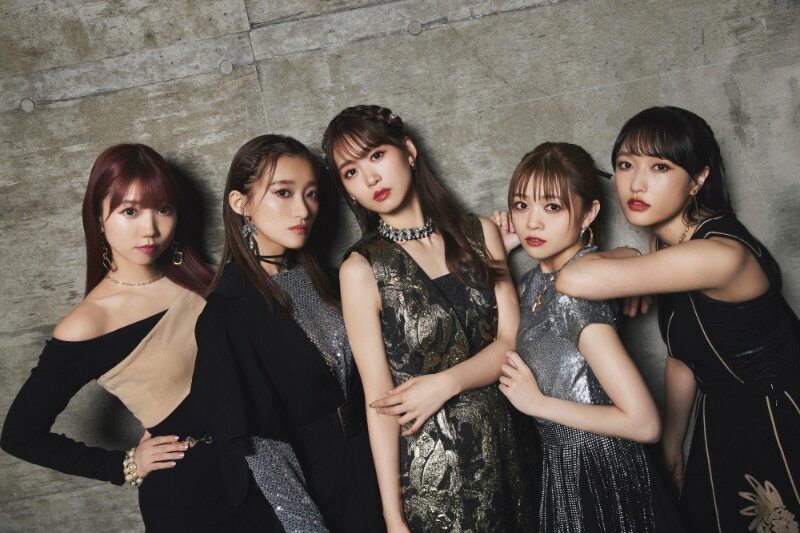 They are all also part of a KPop cover group, UFZS, though Up Up Girls have since carved out their own niche and become much more prominent than UFZS. The group is a part of Up-Front Promotion, but not Hello!Project. This group is prolific. They put out so much stuff that I can honestly hardly keep track, and they perform on a very regular basis. This is a group that, if you follow them, you will have a lot of music to enjoy. They put out 8 singles in their first year. 8. They have released 2 albums and 17 singles since 2012 and they have another single planned. Up Up Girls is one of those groups that I want to follow more but for some reason don’t. The girls perform well and there are several good songs; Samurai Girls and Up Up Typhoon were two of my favorite songs of last year. Yet nothing has really compelled me to follow them more, even though I’m also a fan of Sekine Azusa’s (she was my favorite H!P Egg). They seem more geared towards live performances than anything; not all their singles have PVs (though that’s changed a bit since they joined T-Palette Records), and for a long time they didn’t seem like they were going to put out a PV. Still, they are a type of group I think should have a good fanbase, because they are a solid group. So if you want a group with solid performances, solid music but a lot of music, Up Up Girls is a good choice for you. Here is another well known group! Actually, I’m excited to revisit Afilia Saga, as I’m going to be meeting Momoi Halko, one of the people who formed the group, at Idol Matsuri soon. 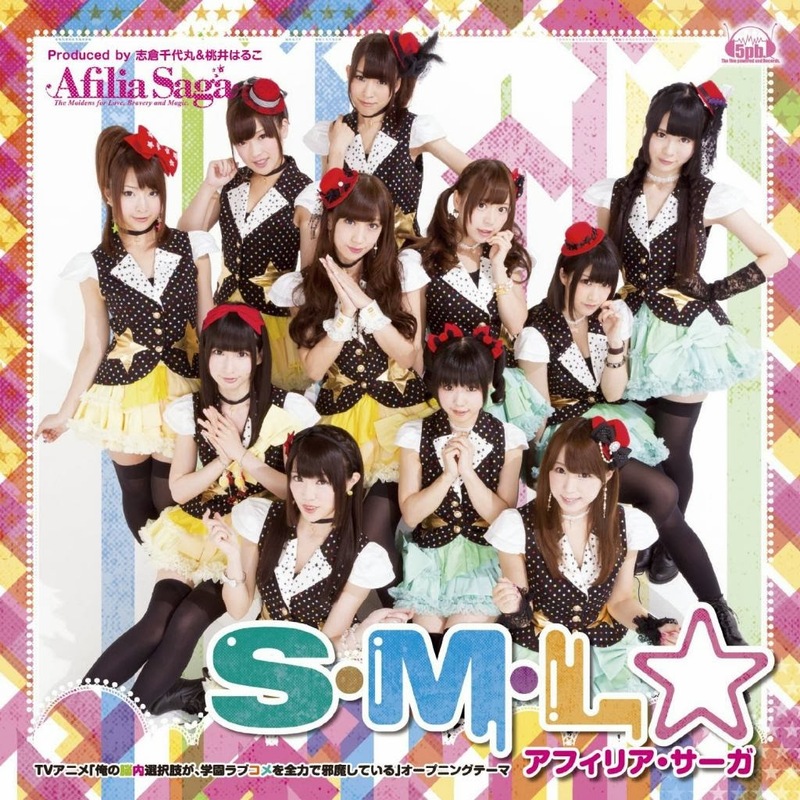 Formerly Afilia Saga East, this is a group formed from the Afilia Saga maid cafe chain. The maid cafes are based off of a magical, fantasy world, and as such all the members of the group have stage names to reflect that (i.e. Louise Sforzur). Since 2009, the maid cafe brought together maids to become an idol group. They’ve continued steadily releasing things, with two albums and eleven singles. I like what this group is doing; they’re trying to have a different concept and be a fresh take on the idol genre. I like that this type of group exists. However, I just can’t get into Afilia Saga, for some reason. The music has never quite hit home for me, and I’m not really into the concept. Afilia Saga is a love it or hate it group; they’re aiming to be different, but that can’t appeal to everyone. Fans who love the group love them, and I like them but never really follow them. They’re a group you have to check out for yourself to see how you feel. Honestly, it’s hard to know how to start an article about this. This is probably the most shocking thing I’ve ever had to write about. At a handshake event in Iwate prefecture, Kawaei Rina and Iriyama Anna were injured. They were attacked by a man wielding a saw, who has since been apprehended. Luckily, every report I’ve seen says that there haven’t been any major injuries, and that they’re certainly not life threatening. That said, this is incredibly difficult to process. Kawaei Rina is one of my favorite idols, and I’ve been worrying about this ever since I heard about it. Yet, all of this is beyond favorite members. I have both Kawaei Rina, Iriyama Anna and the injured staff member in my thoughts. 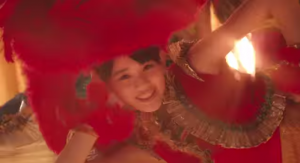 As well as the rest of the AKB48 members; this has to be incredibly scarring and mentally distressing for every 48 member, if not even every idol. Ultimately, as we discuss all the repercussions of this event, I think it’s important to stress that it should be the well-being of Kawaei Rina, Iriyama Anna and every other 48 member that we take into consideration above all else. I have everyone in my thoughts, and hoping for a speedy recovery. That said, it’s hard to know what AKB48’s management is going to do. I imagine that they are discussing possibilities right now. The first thing I considered was that this will mean an end to handshake events and other such things. From what I’ve seen, it looks like SKE48’s event and NMB48’s after-show high touch event were both cancelled. I don’t think this necessarily indicative of what will happen in the future, but it is telling about how much this is going to affect things. The thing is, I can’t see them ending handshake events. AKB48 is built on the cornerstone of “Idols you can meet.” Even as AKB48 has become increasingly popular, to the point where they dominate sales charts, they have continued these meet and greet opportunities. It might be cynical, but completely ending these events would have a very negative effect on AKB’s sales, and I doubt that they would want that. Also, the vast majority of fans aren’t doing anything like this. This is one guy out of the hundreds of thousands of fans who have gone to see AKB. That said, they have to do something. What I see them doing is increased security measures. More security guards will be there. There will probably be bag checks instated; the fact that there haven’t been any bag checks in the past is almost unbelievable to me. One measure that might be considered is a metal detector system; Japan doesn’t have a major gun problem like the US, but if they are able to check for knives or saws that might make things better. The thing is, this doesn’t just hurt the two members in question. Obviously that is the most important thing we should be worrying about, but that’s not it. This disrupts the entire illusion of safety that idol events have. I know that I never even conceived of this being a possibility. Idols and fans aren’t going to feel safe until they see that some measures have been taken, which is why I think it’s going to have to be more increased security. This type of event has the potential to completely shake up the idol world. And for good reason; safety is the most important thing for these girls, and if that’s threatened then we need to reevaluate how these events are run. Fans might be disappointed; I think some were disappointed that SKE’s event was cancelled. But that really doesn’t matter, because the well-being of the members, both physical AND mental, trumps all fan disappointment. Again, I have Kawaei Rina, Iriyama Anna and the staff member in my thoughts. TIF has officially updated its website, which means it’s time for me to start my profiles of all the acts! As of May 24, 2014 there are 93 acts listed. Also, all the group names are listed in romaji in addition to just the kanji. This is incredibly useful (since last year there were a few super indie groups that I was having trouble converting to romaji) so thank you, TIF. There is also an English-language page that seems to have been translated well into English! So if you’re in Japan or thinking about going to TIF, this is even easier for us foreigners. Thank you, TIF!! Honestly, what more can I say about Idoling!!! that hasn’t already been said. Idoling!!! is one of those mainstay acts at TIF; I can’t imagine them not being there. Idoling!!! was formed in 2006 by Fuji TV as a group that would primarily grow through their Fuji TV show, also called Idoling!!!. 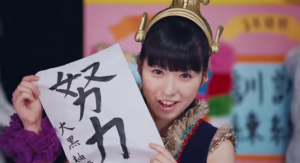 If you’re an AKB48 fan, you know them for the AKBIdoling collaboration single, Chu Shiyouze! Currently, the group has 24 members over the course of several generations. Since last year, the group has released two new singles as well as an album, Gold Experience, which I liked quite a bit. They are putting out a new single, Kyupi, at the end of this month. As I mentioned, Idoling!!! is a mainstay of TIF. They’ve been going to Tokyo Idol Festival every year since its start in 2010, and do interesting units and collaborations during the festival. Last year, Idoling!!! introduced its newest generation at the festival. Even if they’re not a favorite group of yours, they are certainly a group to watch if you have an interest in TIF. Some of the most interesting things that go on at TIF include Idoling!!!. Personally, I think there’s a lot to like about Idoling!! !, but I don’t follow them quite as much as I should. Gold Experience is a very solid record with a lot of good tracks. My favorite songs tend to be from a few years back; by far my favorite Idoling!!! single is ‘Me ni wa Aoba, Yama Hototogisu, Hatsukoi.’ However, they’re a really good group doing quality music and quality variety content. A lot of their Idoling!!! episodes are up on YouTube, if that interests you. So even if Idoling!!! isn’t your favorite group, you should definitely keep an eye out on them. As I mentioned, Idoling introduced its newest generation at TIF. That is what is known as the NEO generation. Idoling!!! took these five girls plus two of the relatively newer Idoling!!! members (from the fourth generation) and made a new unit, Idoling!!! NEO, to directly compete with the original Idoling!!! (while these members are still in Idoling!!! proper, mind you). So far, they’ve put out two singles. I’ve really liked what I’ve heard from Idoling!!! Neo; both ‘mero mero’ and ‘Sakura Horizon’ have been really solid idol releases. All the members seem great, too. Idoling!!! NEO is a very expected addition to the TIF lineup, but not an unwelcome one. I’m interested to see how they fit into TIF, especially since Idoling!!! is such an active group. I expect they’ll have their own live events, but will they do the collaborations with other groups? Idol College has one of the more colorful and interesting idol backgounds that I can think of. Basically, the group started out as B.L.T. Idol College (based off the magazine, not the sandwich… a joke I made last year) in 2009. They released several singles and were pretty active until March 31, 2010 when they disbanded… only to regroup a day later as Idol College, with totally different members. Since last year, Idol College has put out one album, their first on a major label, called “Idol College no Tsutaetai Koto.” When they first started going to TIF years back they were still an indies group, so it’s exciting to see the group grow. That said, they haven’t put out anything this year yet. A lot of groups tend to release albums and singles around the time of TIF (it’s probably a great way to promote their stuff) so I bet they’ll do something like that around then. The group’s theme is “growth” which is honestly the most generic idol theme you could possibly get. There’s nothing really revolutionary about Idol College, but they’ve had some good songs (their cover of Na.Ri.A.Ga.Ri is particularly good) and they are a pretty fun group to watch live. Since they keep growing, they’re a group to look out for. While they haven’t grown as much as I thought they would since last year, they have still come a long way. This is a new group! This group was formed at the beginning of this year, so they have only been around for a few months. The group has seven members, all in their mid teens. While this is a fairly new idol group, it is from the Sony Music Artists label as their first idol group, so that indicates a level of professionalism right off the bat. That said, the fact they are so new makes things difficult. Sony has put up a lot of videos profiling the girls, but there are so far no performance videos (as far as I can tell) and none of these are available outside of Japan for viewing.. Which makes things more difficult. If you want to follow an idol group from the ground floor, especially one for a large label, then you may find something to like with this group. However, at this point it’s difficult to find much of anything about them. Remember Techpri? Well, they were an idol group that was formed in 2009 and had four members. Last year, one of the members left and Techpri disbanded at last year’s Tokyo Idol Festival. Right after, they reformed the group as Iris, the new unit for the three members that are left. It’s kind of a nice gesture, for the member who left. It’s hard to know how the group is going to differ, if at all, from who they were as Techpri. As that group they performed a lot of techno pop songs, and I compared their sound to Perfume. Which isn’t a bad comparison, really. If the group sticks with this, I might have to pay more attention to Iris. From what I’ve seen of them so far, based off the video I’m linking below, it sounds like they’re doing a disco/electronic sound. Which I am very pleased with. If the group continues like this song I will definitely have to follow them more. Ever since they became a three piece unit they feel even more like an indie Perfume. Which isn’t a terrible thing. If any of what I’ve said appeals to you, you owe it to yourself to check it out. perform abroad, I get excited. that there is not much of a financial need for exportation of music. Korean acts to promote in Japan and even the US; there’s money there. However, for Japanese acts, there’s a ton of money in the industry. “reimporation” that was brought up at the beginning of this year. idol group outside of Japan, at least in the English-speaking world. this will be for their promotion. group anymore, but I’ve regretted not going to see them at Anime Expo. tickets are going to go fast in general. itself heard. Do I see Jpop being more than a niche in the US?